A healthy and vital team is a goal worth striving for. There may be conflict, but if it ever gets personal, team members catch themselves, apologize, and go back to talking about the issues. People have more productive conflict because they have the trust to engage directly with one another. They have more opportunity to develop their skills and get things done, because they’re spending less time and energy dealing with office politics. 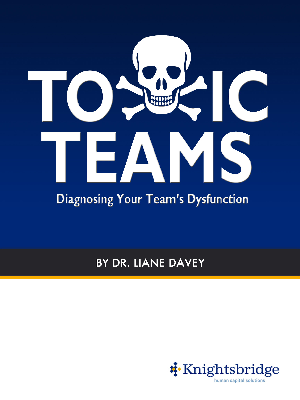 Download this ebook to learn how to diagnose your team's toxic problems and how to fix them.